For millions of poor people in the developing world, economic growth offers prospects for improved well-being. But what are the political and social conditions conducive to growth-oriented policies in poor democracies? 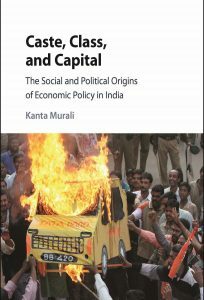 This book addresses this highly consequential question by focusing on a specific empirical puzzle – policy variation across Indian states in the competition for private industrial investment, a phenomenon that came to the fore after the country adopted market reforms in 1991. Through the analysis of investment policies, this book offers a novel explanation, which links social identity, class, and economic policy outcomes. Its main findings highlight a link between pro-business policies and exclusionary political trends in India’s high growth phase, and offer a sobering perspective on the current model of growth in the country. It adds to our understanding of Indian political economy as well as to the dynamics of economic development in poor democracies.